Musical director for Stephen Colbert’s “Late Show” in the US, pianist and singer Jon Batiste plays an exclusive show tonight at Berlin’s Silent Green in Wedding. 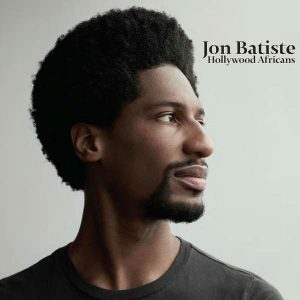 His debut album, the solo piece “Hollywood Africans” (or primarily a solo one), came out last month and it’s a celebration of the African-American heritage and culture with a mix of classics from that canon and self-composed originals. His touch on the opening joyful “Kenner Boogie” is ragtime/boogie at its best and makes way for a melancholic “What A Wonderful World”, where his voice shines like a bright diamond, clear and crisp, without any gimmicks. His unobtrusive way of interpreting this Louis Armstrong anthem, including his unique pianisms which include a short segment using the upper registers only, really gives this masterpiece a new twist. Coming from New Orleans and now also chairing the National Jazz Museum in Harlem, the album’s title refers to a 1983 Basquiat painting of the same name which was meant to describe the long history of discrimination against people of color. And so what you get here is a stylistic potpourri of New Orleans style music, boogie woogie, Gospel, Jazz, Rock, and even Classical like on the short but intensive “Chopinesque” or the prancing “Nocturne No. 1 in D Minor”. Jon gets into New Orleans funeral march mood on his take of “Saint James Infirmary”. The way he approaches “The Very Thought Of You” from the Great American Songbook (Ray Noble, 1934) through his beautiful piano intro and the lowest register of his voice, turn the piece into a wonderful, romantic paean. And once again, his unagitated singing style only punctuates this treat. One of the highlights here is “Green Hill Zone”, written in the early 90s for a video game. The crazy, chaotic, almost maniacal character of the original makes way for a tender and luscious interpretation. The album was recorded in a church in New Orleans, probably best heard on “Mr. Buddy”, a lovely and engaging piece with a charming vocal by Jon, and produced by T-Bone Burnette. The roots rock and Americana aspect of the producer’s work is best channeled on the album by the dramatic “Is It Over” which also includes some Gospel-flavored backing vocals. After a short instrumental “Smile” intermezzo, the album closes out with “Don’t Stop” with its energizing strings and optimistic lyrics. In the press release to the album, Jon states that “to be happy—as artists, as people—we have to identify the most authentic version of ourselves and to embrace it. Along with my fellow artists, I hope to write the next chapter of American Music. This is just the beginning.” And we’re part of it. Jon plays an exclusive show tonight at Silent Green in Wedding, see event calendar.